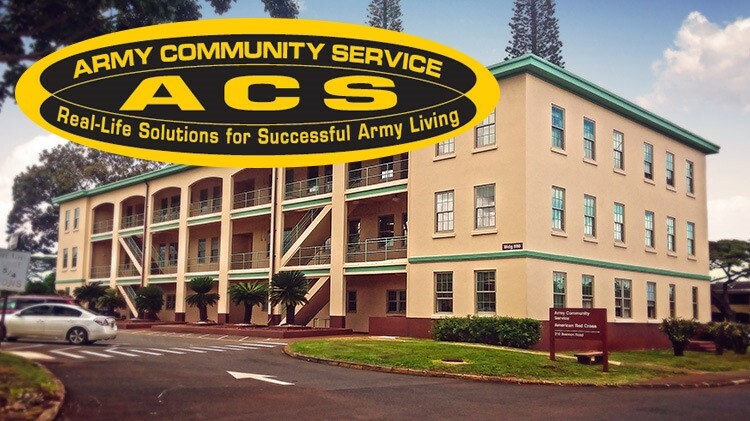 Date: Feb 1 2019, 12 a.m. - Mar 3 2019, 11:59 p.m.
USAG Hawaii, Army Community Service (ACS) provides quality support programs, services and various training and education to Soldiers, Families, Civilians and Retirees stationed on Oahu. ACS provides real-life solutions for successful Army living. Click here to view Army Community Service (ACS) class calendar.